This is truly my favorite Eggs Benedict recipe. It is simple, quick, and delicious! I love the idea of using a blender for the hollandaise sauce. It is easy to make and turned out fantastic. 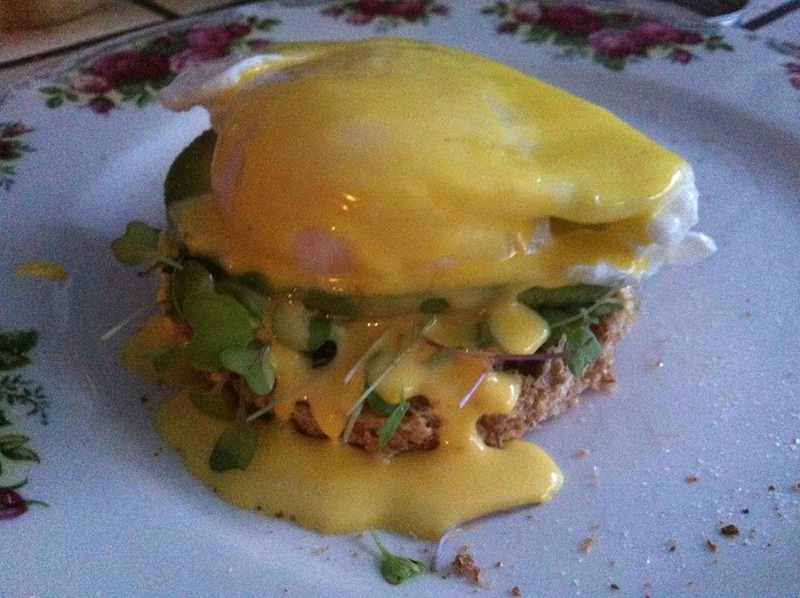 Place the bread circle on plate add sprouts, then avocado, then poached egg and cover with hollandaise sauce. Posted by simplycookingrealfood on February 1, 2014 in Breakfast.